US Virgin Islands with MyUS. Not shipping to the US Virgin Islands? I just wanted to say a hearty Thank You to MyUS for your package deliveries during the holidays. This has been a lifesaver for me to help bring holiday cheer to my loved ones. A special thanks to KYLE who prepared my last package. Wow. I'm impressed by the services thus far. The shipment on your end was superb. Thank you so much MyUS.com. May you stay in business forever! Typically these fees, if any, are due upon receipt of your delivery. But that could be subject to change as deemed by VIR customs. Duties and taxes are not included in your MyUS shipping charges. Please budget accordingly. We see to it that you won't have to pay shipping, duty and tax on any prohibited or broken merchandise. If any is found, we will notify you and help return it to US stores before it ships out to you. How Fast Will I Receive My Delivery? As a member, you can access all of the current shipping options - and schedule delivery - from your phone with the new MyUS app. What Items Are Banned in the US Virgin Islands? You can view lists of all merchandise banned from VIR at the links below. MyUS will not ship any item that is banned from import to VIR or banned from export from the US. Avoid these items while shopping to ensure easier - and quicker - package processing and delivery. Be sure to take advantage of our package bundling services: Store your purchases at our facility for 30 days until they have all arrived, then we can ship your items in one box versus many small boxes. This saves you a lot of money on shipping! Now you can enjoy global shopping from the US without having to check the store’s international shipping policies. MyUS has perfected and simplified fast and affordable international shipping over the 20 years we've been in business. Join today and as a MyUS member, all your international shipping needs with be handled by the experts. See how much you can save right now: try our online shipping calculator at the top of this page. We're known in the industry for getting US merchandise to its owners in just days - not weeks or months. With MyUS you can always ship it as fast, or as cheaply, as you like. Express shipping should have your goods delivered in just 2-4 business days. If you would like to save even more, use an economy shipment that would add a few days and you would still have your MyUS box in about 5-8 business days. You make the choice. We make it happen. With thousands of popular stores to choose from, you’ll be able find everything on your shopping list. We’d love to hear about your great border-free shopping experiences. We'd be thrilled if you shared those stories here. Did you know that you can shop multiple websites online and make your purchases in one shopping cart? With the MyUS Shopping extension you can! Ready to get started? Shop for all the authentic, brand-name merchandise you desire and we’ll have it to your home in the US Virgin Islands in as little as 2 days. We also make regular deliveries to hundreds of thousands of cities in more than 220 countries, including the British Virgin Islands, Anguilla, Saint Kitts and Nevis, Dominican Republic, Puerto Rico, Haiti, the Bahamas and Turks and Caicos. 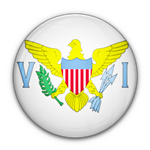 The US Virgin Islands import laws may change without notice. View a complete and current list at their customs website. If you purchase restricted or “dangerous” goods (such as hazardous liquids in some paints and nail polishes), our team of customs and import regulations experts are happy to complete necessary actions for safe and legal shipment of these item to VI. MyUS makes international shipping fast, easy and affordable. When you're done shopping American stores online, let MyUS take care of all of your global shipping needs. Join today and take advantage of our cheap, fast and reliable shipping. When Delivering to the US Virgin Islands: All shipping times discussed are estimates. Overseas deliveries can be delayed due to circumstances beyond our control such as bad weather, political unrest or local work stoppages. MyUS is not responsible for any such delays. Our Customer Service Department is happy to answer any questions via email, online chat or phone. MyUS ships with FedEx, FedEx Express, FedEx Economy, FedEx Freight, DHL, UPS and USPS.